In Los Cabos, Mexico the G20 world leaders, during their recent summit, recognized the important role that travel and tourism plays in fueling economic development and job growth. It was the first time the leaders had recognized this in the history of G20 summits. Leaders of the nations also committed to promoting initiatives that facilitate immigration procedures that are more efficient thus helping to expand tourism. The summit declaration said that the leaders recognized the crucial role of travel and tourism as a means of creating jobs, economic development and growth. In addition, while the sovereignty of each state is recognized to control the movement of foreign nationals across borders, the leaders committed to working towards the development of initiatives that facilitate travel, reduce poverty, and create global growth. Gloria Guevara, the Secretary of Tourism for Mexico said the inclusion of travel and tourism in in the G20 leaders summit’s agenda was a breakthrough for helping the global tourism industry. In May, the tourism ministers from the European Union and G20 nations met in Yucatan for the Tourism Ministers 4th annual meeting. 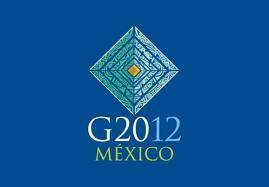 A Merida Declaration was forged, which was a policy proposal they then submitted to the G20 leaders. The Merida Declaration suggests implementing procedures that are streamlined for obtaining travel visas so international tourism can be boosted. Research has been done and was released at the tourism ministers meeting in May that said the combined G20 nations could increase their overall tourism and by doing so create an additional 5 million jobs for people in their countries.